Lovely house and location. Owner lovely, helpful and friendly. Elegant/very cosy house (with WIFI) in picturesque plaza in mountain spa village of Lanjaron, Alpujarras, Granada&Coast (30mins) 1hr to ski resort)quiet, beautiful/authentic plaza. My third visit to this delightful house in Lanjaron. Mary and Brian couldn't have been more helpful. The location of the house is stunning and it's so relaxing hearing the water sounds from the little flower covered square. The roof terrace is a boon in late Spring and Summer where you can sit sipping a glass of the local wine as you watch the swifts and martins tumbling through the air. We will be back! 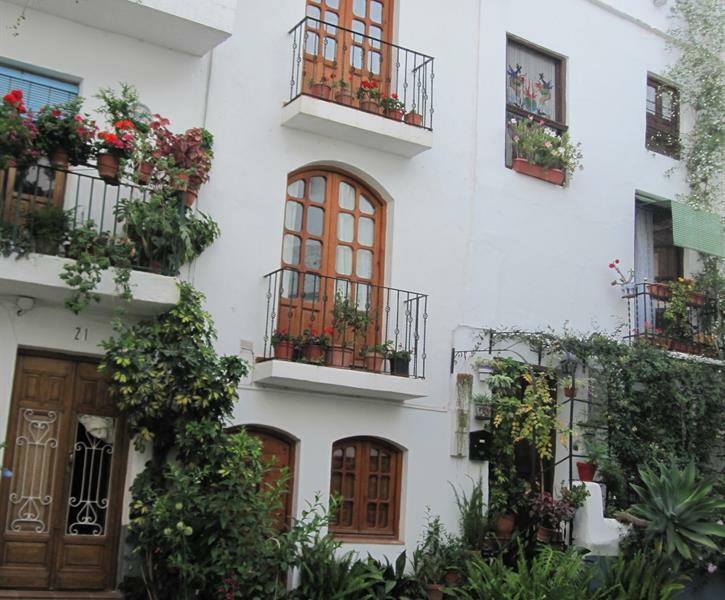 A very pleasant stay in a charming house located centrally in the lovely town of Lanjaron. The property is quaint, comfortable and well equipped. We thoroughly enjoyed our time there. The owner was lovely and very helpful. We would have no hesitation in recommending anyone stay in the property. What I liked about this house: Beautiful central location at Placeta Santa Ana which is one of the tourist attractions with its fountain (where you can take drinking water) and all the flowers installed by the habitants. It a is a new construction, with even double glazing. From every floor level, you look out on the Placeta; very nice views. Despite the central location, it is quiet at night. There is also a roof terrace. All the windows, and the terrace, are on the north side which prevents overheating of the house. There is a washing machine and you can dry the laundry on the roof terrace. Some small disadvantages: You have to accept to frequently walk stairs because each space (kitchen / living / bathroom & bedroom / terrace) is at a different floor level. You cannot park your car near the house. I parked at the bypass road which is a 10 to 15 minutes walk (depends on your condition). But overall it was a very positive experience!